Israel Law Center demands US bring to justice Hamas leader in Turkey who bragged about abduction and murder of Israeli teens. After the Hamas terrorist organization finally admitted that it was indeed responsible for the June 12 abduction and murder of Eyal Yifrah (19), Naftali Frenkel (16) and Gilad Sha'ar (16) hy''d, Shurat Hadin (Israel Law Center) is pushing to ensure justice is served. In a letter appeal to US Attorney General Eric Holder, Shurat Hadin is requesting that America demand the extradition of senior Hamas leader Salah Al-Aruri who took responsibility for the murder, given that Frenkel held American citizenship. Al-Aruri was released in the 2011 Gilad Shalit deal, which saw 1,027 terrorists go free and many of them return to the acts of murder that had them behind bars in the first place. He currently lives in Turkey, the country that in 2012 overtook Iran as Hamas's main sponsor. The Hamas leader is the one who let slip about the three Israeli teens, boasting at a conference of Muslim clerics in Turkey that his group's Al-Qassam Brigades was responsible for "the abduction of three settlers in Hevron." 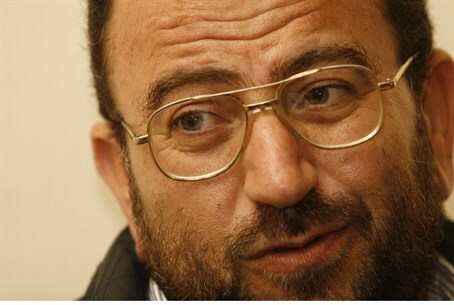 According to Shurat Hadin, an earnest demand by the US through its ties with Turkey, resting on the fact that he was connected to the terrorist act of murdering a US citizen, will bring about Al-Aruri's extradition. The US and Turkey have an extradition agreement for wanted criminals and terrorists, which along with the fact that Al-Aruri took responsibility for the murder on Turkish soil should obligate the country to honor an American request to have Al-Aruri in its custody. Shurat Hadin director Nitzana Darshan-Leitner remarked in the letter "it cannot be that the Turkish regime will give a platform to an announcement of the murder of innocent 16-year-old youths on Israeli soil, and will appear as if it's concerned with issues of morality." "Turkey is providing cover for a terrorist released in one abduction deal and proudly announcing his personal involvement in the abduction and murder of additional innocents," added the attorney. Darshan-Leitner concluded by noting that the window of opportunity for a true investigation is closing. While numerous examples of evidence and testimony can be gathered about Al-Aruri's activities supporting terrorism against Israel from Turkey, she argued that the chance of bagging conclusive proof will be harmed, the longer the investigation dawdles. Hamas's headquarters in Turkey have in fact been very active in acting to influence the goings-on in Israel; just recently the IDF and Israel Security Agency (ISA) foiled a Hamas coup attempt orchestrated from Turkey to overthrow the Palestinian Authority (PA) in Judea and Samaria.